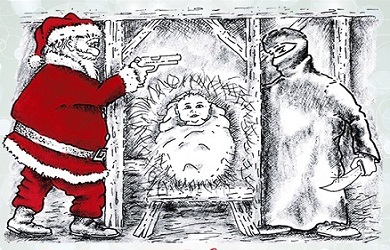 Just in case you are doing some last-minute shopping for Christmas, provided, of course, that your town hasn’t already fallen in a bloody battle in the War on Christmas, we here at Right Wing Watch are out with a new holiday gift guide focused on that special right-wing friend or relative in your life. Hopefully your loved ones will appreciate it as much as our 2013 catalogue. The perfect prepper gift, televangelist and survivalist Jim Bakker is offering a hot deal on an “Egg Bucket” for just a cool $100. 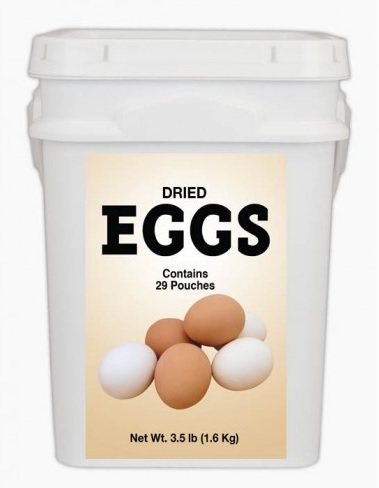 Nothing gets people more excited than seeing a bucket of dried eggs underneath the Christmas tree, especially once they realize it contains a whole 29 “pouches.” Just add water! And if you need a present for a prepper with a sweet tooth, make sure to buy Bakker’s 273-item gourmet dessert tray so the whole family can enjoy ice cream sandwiches as society collapses. 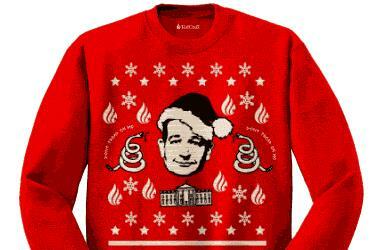 While other families gather around to watch the yule log or a marathon of “A Christmas Story,” you can have your family watch Glenn Beck dress up as an elderly, Santa-like man after you “give the gift of TheBlaze TV” for up to 100 friends, family members “or anyone you care about” this year. Alternatively, you can wait for Becks’ movie about a warrior Santa Claus to come to theaters. Finally, the Pat Robertson-approved children’s book about the Last Days that your child has been waiting for! 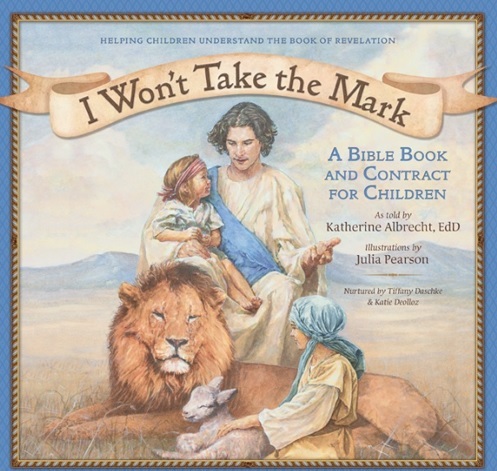 “I Won’t Take The Mark” prepares kids for the end of the world, concluding with a contract where readers pledge to never take the Mark of the Beast. Is anyone on the hunt for a barely legible conservative t-shirt? 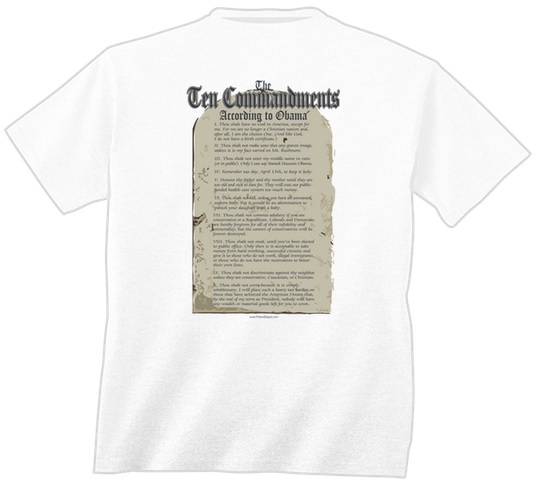 Well, you are in luck, as “The Ten Commandments According To Obama Shirt” is on sale. It was written by Obama himself (probably) about how people should worship him because “I am the chosen One and like God, I do not have a birth certificate,” and should have abortions and persecute Christians. And printing a very long list with a small font size on a white t-shirt is always a winning design idea. The Creation Museum is out with a new, fun way to disprove evolution and let people know that Noah really did put all those dinosaurs up on his ark: building your very own ark! Well, sort of. With their Noah’s Ark Paper Model, you can “[d]iscover the truth about Noah’s Ark by constructing your own scale model! Interesting facts about the Ark and Flood are located on the bottom of the model. Available in two sizes—small and large.” Just in case you were wondering, yes, it is to scale, in cubits. 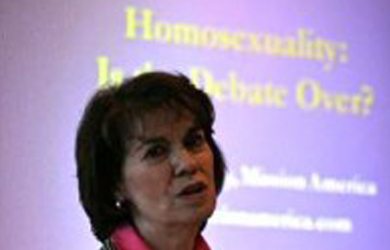 Anti-LGBT activist Linda Harvey of “Mission America” knows that if you are still “wondering what to get your teen or college student for Christmas,” you should consider “giving them the gift of common sense and morality.” And by common sense and morality, she means her new book, “Maybe He’s Not Gay: Another View On Homosexuality,” which peddles ex-gay pseudo-science. For those who want to use Christmas to “cure” a loved one of homosexuality, Harvey boasts that her book tells gays and lesbians “why they can leave those feelings behind.” A true Christmas miracle!